Vietnamese cuisine is full of many varied dishes, but two fairly common street foods most likely take top prize as being some of Adelaide's favourite meals. 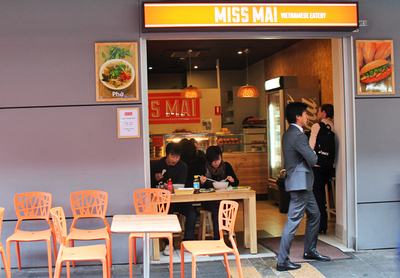 The newly opened Miss Mai Vietnamese Eatery in James Place serves banh mi (Vietnamese rolls) and pho (noodle soup), as well as healthy Vietnamese salads. Their banh mi is first up for review. 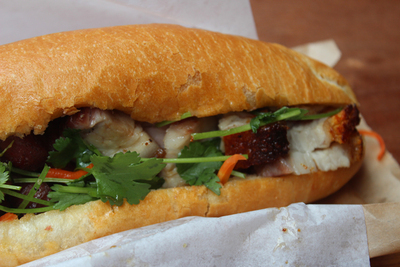 A good test for a good Vietnamese roll is how much ends up on you instead of inside of you. The crisp outside leaves you covered in a layer of bread, like if you were suffering from really bad dandruff, but the inside is soft and fluffy. Unfortunately at Miss Mai you can stay fairly clean, but when it comes to their banh mi it's the roast pork that should be getting all the attention. The pork definitely isn't an after thought. It's crispy and crunchy, but with a good amount of fat and meat to give you lots of flavour. Quite frankly it's delicious. Unfortunately it feels like they skimp a little on other toppings, especially the coriander, but hey the pork is so good that it's pretty easy to forget. 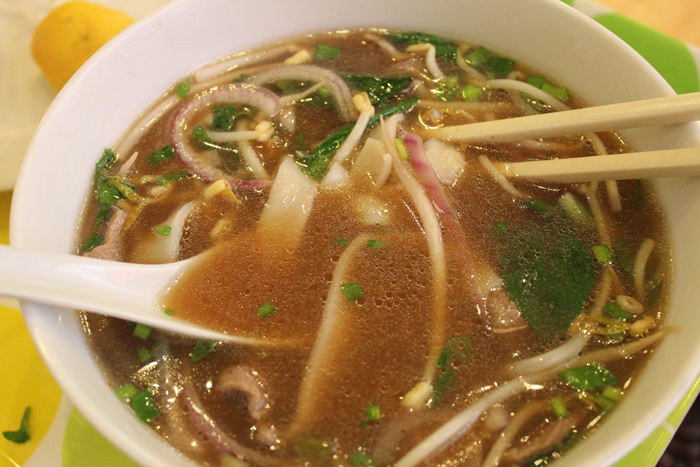 The big steaming bowls of pho are also great, especially when the weather is miserable. 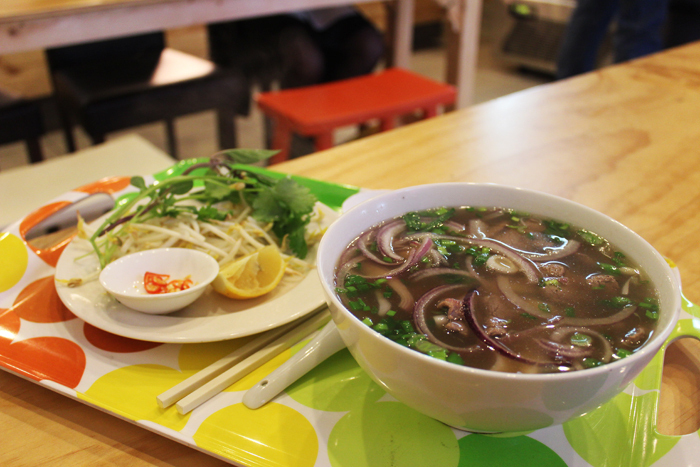 Sitting inside on a stool eating pho while the rain pours outside is actually a little reminiscent of a rainy day in Hanoi, where a bowl of pho makes the perfect escape. It's not the heartiest broth, there's just something missing to give it that real beefy kick, but it's tasty nonetheless. 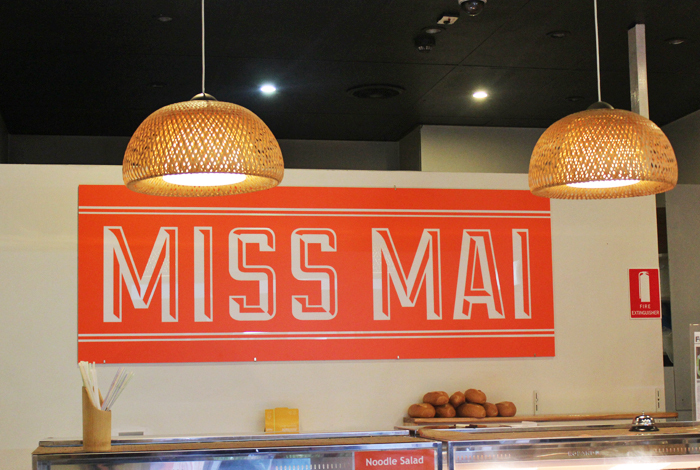 Miss Mai has a good atmosphere. It's small without being too pokey, and it is simplistically stylish. There are low tables and stools to sit on, on a busy day you might have to squeeze up with a stranger because the tables are made for sharing. It's very much got that pop-in pop-out feel to it, where it's all about eating some tasty food and then getting on with your day. 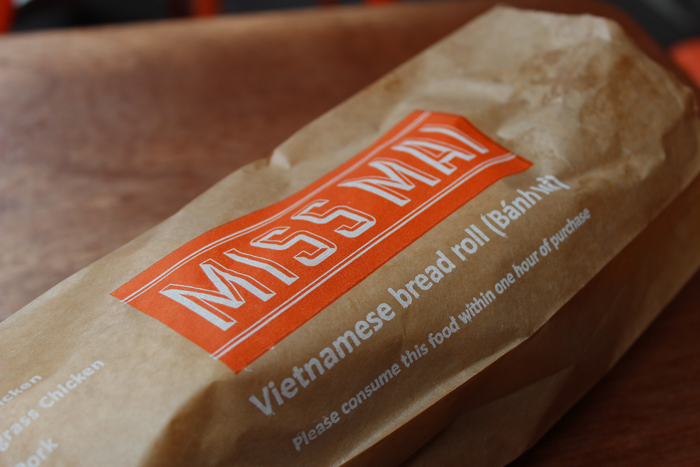 If you were to ask some Vietnamese food enthusiasts, they might not stack Miss Mai as high up against some more 'authentic' counterparts. But hey, authentic-smentic, Miss Mai is a great lunch option if you're perusing Rundle Mall for somewhere to eat, and their roast pork is some of the best. Quick and well-priced food here! Definitely worth trying out if you haven't already done so!